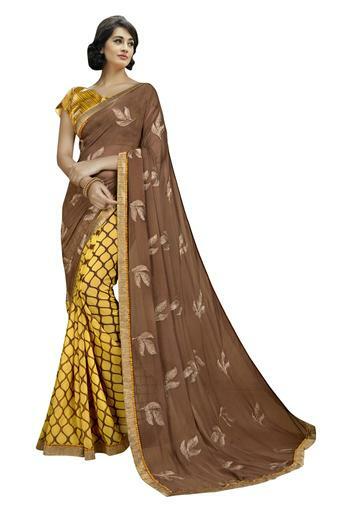 Simple yet stylish, this saree presented by De Marca will be a great choice for you. It will ensure that you stay comfortable as it has been crafted from a georgette fabric. It also flaunts a fine colour, along with an embroidered pattern, which makes it look sophisticated.